Neil Giles concludes his discussion of the ingress of Uranus into Aries, listing more historical examples, as well as various cultural references adding a broader dimension to the process of change, but also bringing visions or ideals that are just out of reach or inherently unstable. He warns of climatic instability, extremes of weather and threats to civilisation as we know it! Uranus again played his tricks as 1173 AD raised the Leaning Tower of Pisa, built as a cathedral bell-tower only to become the most eccentric of history's long-lived landmarks. The Scots rebel, William Wallace challenged the power of Edward Longshanks, England's King, in 1257 AD, losing his rebellious bid and his life in a conflict that would eventually see Robert the Bruce rise up to free his native land from English control. 1341 AD brought tsunamis and flooding across the Arabian Seas while 1425 AD saw the Caldera eruption in Vanuatu that buried the world with smoke and wild water. In 1509 AD, Henry the Eighth bounded onto the stage of history like a giant, taking the kingdom of Britain in one hand and the Church in the other and then shaking both by the scruff of the neck until he had the control that he wanted and the drama he loved. He said 'nay' to the Pope and the Catholics, establishing the C of E. He flouted religious and political convention, creating a Church in order to sanctify his desire for divorce. He thumbed his nose at customs that constrained him, but he also divided the land of England and its people against each other. This icon of the radical and the perverse held the throne and ruled with a fiery magic wand, waved to conjure a new beginning, yet he also conjured a sea of blood in a religious conflict, alongside a tumultuous personal life that saw the execution of two of his wives. In 1593 AD, playwright of genius, Christopher Marlowe, author of the drama of Dr Faustus among others, fell to the assassin's blade, wielded in a duel, a blow that cut short a brilliant career and laid low an inestimable talent. In the same year, Christian and Turk ravaged one another at the battle of Sisak while Henry the Fourth of France suddenly changed his religion from Protestant to Catholic. On the technical genius side, the Netherlands patented the crankshaft windmill but, in the same year, violent storms destroyed one of its northern cities, Texel. The startling marvel of Gil Perez may most truly illustrate the phenomenon of Uranus. Gil Perez was a civil guard on duty in Manila who was reportedly teleported more than nine thousand nautical miles in the blink of an eye, arriving in Mexico City to be accosted by the local authorities. Indeed, he had no explanation for what had occurred, claiming only to have leaned back against a wall and closed his eyes, opening them again to find himself in Mexico. The veracity of this story is unproven and no accounts of it appear until a hundred years after its reported occurrence. Is it Uranian fable or a true Uranian marvel? In 1675 AD, Uranus made his wild leap into Aries, guiding the founding of Pennsylvania while the Turks marched to the walls of Vienna and laid siege. This also allows us to attribute the birth of what we call the croissant to Uranus in the sign of the Ram, for this pastry was first baked to sustain the Viennese defenders as they held the wall, offending the invaders by using their sacred symbol—the crescent moon—as the body of the pastry to be consumed. In 1759 AD, there was the founding of Guinness Ales, while French and British carried on a rousing battle for the province of Canada, each determined to set their stamp on the New World. Voltaire wrote the landmark work, Candide, an extraordinary study of a naïve individual on a mystic journey to new lands, literal, metaphorical and geographical. It set a mark and made a template for so many later works that drew from it. China turned back the tide of Islam with a series of fierce battles in the Taklaman Desert. In 1844 AD, it was god, humanity and communication with the founding of the Bahai faith and the first transmitted Morse Code message, sent by the Code's inventor, Samuel Morse himself. The most recent passage of Uranus into Aries was in 1928 as the world set itself to crash into the Great Depression, shattering the dreams of the Roaring Twenties, cursing so many lands with hunger, unemployment, homelessness and the break up of families, friends or social groups. Uranus is indeed a god of swift reversals, as the 'Lost Generation' enclave of expatriate artists and writers drifted out of Paris while the lights went out on Britain's Bright Young Things and the grim shadows of depression and unemployment bred a mood of anger and futility among a poor whose courage and endurance was tested beyond all measure. Businesses were scorched and stopped in their tracks, while business men retired to lick their wounds or took their lives, swept from high windows into the hurricane of ruin roaring across what had, five minutes before, seemed a land of plenty and sound endeavour. Across the US, thousands wandered the roads and rode the trains, willing to endure harsh privation and the brutality of officials to find a new life. Across the world, Leon Trotsky was exiled from his native Russia under the torment of Stalin's revolution to be hunted by an assassin with an icepick, yet Bert Hinkler rose above the clouds to fly solo from England back to Australia and his native Queensland in his plane, the Ibis. He was the first man to do so. A dam burst in California, killing more than four hundred and fifty people but Mae West took New York single-handed, armed with salacious one-liners and all the glamour she could muster. Mae was a 'one woman' sexual revolution and an outrageously talented writer, director and performer. Mickey Mouse made his debut in Steamboat Willie, replete with laughter, the innovation of a first animated feature and the tale of a triumph of the little man (or mouse), yet tragedy in a Pennsylvania coalmine claimed one hundred and ninety five lives. The New York underground added to the death toll while six thousand lost their lives in a Florida hurricane. 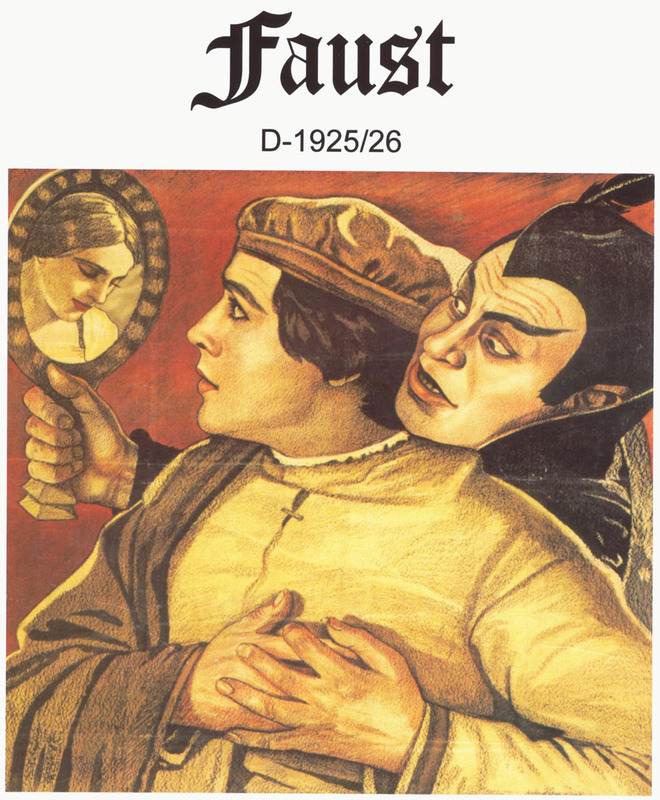 As Uranus in Aries rode higher and further, the mood became dark and restless and a new wave of horror films spawned such exotic blossoms as Frankenstein, Dracula, and The Invisible Man to terrify audiences and reflect the fears of the age, turning the names of Boris Karloff and Bela Lugosi into household words. 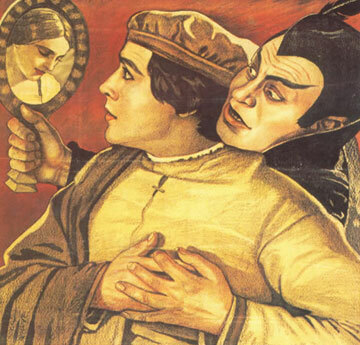 Each of these films told the tale of a creature or being who did not belong and who was driven out, left to fight the forces of repression, hatred and prejudice, often taking vengeance on the people of an uncaring world. 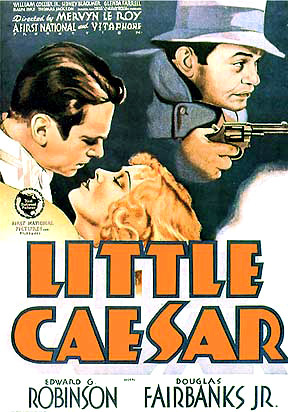 Gangster movies such as Little Caesar, Public Enemy and Scarface depicted the villainy and dark heroics of wild and intractable rebels, misfits and felons. They mirrored the lives of such 'real life' gangsters as John Dillinger, Ma Barker and Bonnie and Clyde, larger than life characters in a burgeoning class of outlaw heroes, idolised by the poor even though these fans sometimes took a bullet from a hard hand. While the land choked in poverty, the guns were drawn and many desperadoes saw themselves as being at war with the rule of law, setting aside social order and morality to fight their battles. If it could be taken by force, it belonged to the taker, with the smell of cordite drifting in the air of public places and avenues as well as seedy rooms and alleyways. These movies also helped to forge the careers of silver screen icons such as Jimmy Cagney and Edward G Robinson as they gave birth to the Film Noir genre, catapulted into a stardom that overtook their lives and sent them soaring. In amongst the gangsters, horror icons, itinerant poor and other dying stars of a world in decline, there was the accelerated resurgence of National Socialism after several ups and downs. The Nazi Party, led by the commanding charisma of Hitler and the muscle of his bully boys, seized control of Germany and set the mark for a run at World War Two, first stop... Poland. So, if that is the world turned on its head in each historical vignette, what can we expect as Puck comes dancing? He's shaken the earth, he's stirred the seas and blown scorching blasts of hidden fire. He's conjured storms and shattered at least one of everything built to withstand disaster. He's certainly turned up the temperature on the irascible and the angry. We can expect these cycles to continue and even gain momentum. Don't stand on it or climb if it's still wobbling. There will be marvellous or marvellously unrealistic technological innovations. Some will change the world in the blink of an eye while others will pass as quickly as they came, flawed by extravagance or lack of proper groundwork. Remember, Uranus in Aries has been charged by the transit of Jupiter also in the sign of the Ram, adding a broader dimension to the process of change but also bringing visions or ideals that are just out of reach or inherently unstable. Public figures, the notorious and those of status will take starring roles in the drama but also fall from their lofty heights, should they be unable to maintain their sense of position. Religious or political disputes will heat the air and have disputants reaching for the ammunition, whether it be sacred, verbal or from the cutting edge of modern weaponry. Lines of communication and supply will be disrupted so that the product you want may not be available unless you make the trip to Nigeria or the Congo. It may be that those who choose to supply themselves will find they are at odds with government and administration over their right to do so. There will be a growing mood of insurgency or rebellion that'll shake the stability of communities and countries around the world or pit nation against nation. There will also be the march of individuals or groups who will set their own parameters and rules as they break from the mothering body and turn to their own efforts and standards to determine the new rules or goals. Some of these will choose a path of peace or separation while others will arm themselves to drive back what they see as interference or excessive control. Leaders that have no diplomatic skill or social conscience will find they're at war with their people, causing friction or fomenting rebellion. Somehow or other, the world we face will be a new one. Will we be ready to shift at the required speed? A Lunar Eclipse in Capricorn on Jun 26, 2010 has shaken up professional or career matters and connections for many, ending or redirecting the aspirations or the imperatives. Leaders or administrators will have been put through the mill or even the shredder. Across the board, many people will simply pack their bags to take a new road while others will get bounced by fate or circumstance. If you're still where you were beyond the eclipse, there will be an emotional low or a wall of frustration. This eclipse will amp up the presence of Uranus and Jupiter in Aries, putting potholes on the road of life for the next year or more. Don't step in them. A second eclipse comes, total, solar and in Cancer on Jul 11, closing the shutters, hitting home or family matters in the bread basket and cutting many loose from their roots, often with dramatic speed. There will be wanderers and homeless folk in further waves while others will simply head to a new destination, near or far, to start afresh. Watch food supplies from this point. Into this unstable climate comes Saturn on Jul 21, 2010, returning to Libra after a last foray into Virgo from Apr 7, 2010. Since late 2008, five oppositions of Saturn in Virgo (efficiency, discernment, regulated effort) and Uranus in Pisces (creativity, lack of realism, approximations) have set reality and order against fantasy and speculation to test the viability of all. They've given birth to schemes and scams, as well as creating determining tests for the establishment, corporations, banks, government bodies and all kinds of administrative or commercial undertakings. Major or startling litigations will be underway. The cosmic pulses have shattered the foundations or structures of those who built on sand, those who could not or did not follow rules and those who cheated through secrets, lies and malpractice. Under pressure, have the offenders learned or have they just reverted to past practice, groping in a blind search for profit at the expense of the future? Now, Jul 26, 2010 lines up Saturn and Uranus for an opposition in Libra and Aries, stirring the fires of the Ram and rattling the Scales. Whatever you take on here will push back against you and there will be pressure. Leadership will be at odds. The process of recovery or rebuilding we've been engaged in since the global meltdown will be tested while people will turn the heat on those they believe to be cheats or offenders. The dissemblers and the politically adept will triumph through the social mask or the ability to let enemies defeat themselves. In the big picture, there'll be opponents, rivals and outright rebels shaping for conflict but there will also be new alliances or connections that break with the usual character or the norm in a contact or an ally. Mark the end of July 2010 with red letters as Mars enters Libra, joining Saturn and opposing Uranus and Jupiter in Aries, triggering nine kinds of mayhem. Beware the firearm, the lit fuse and the malfunctioning device. A new fire will spread or a bottled rage will suddenly uncork, releasing the genie. Whose wishes he will grant, we are yet to see. With Uranus there is one guarantee... you cannot second guess him as his antics will always open another door, raise the mirror or make the impossible come true. Enter the era armed with your three wishes, and a vigorously polished lamp. Sometimes it's the opportunity to make change in a single moment of impulse that can break us from the rut or routine that has imprisoned us and rendered the spirit numb. What we meet in others will awaken something new in ourselves as the stranger comes to our door. When under pressure in extremis, it's then we discover the superhuman effort we did not know we had in us. For the third and last time, Aug 21, 2010 sees Saturn step into the ring with Pluto, gloves on, raising the stress levels (gods, where's the rescue remedy) as we are driven to seize opportunity for transformation or test ourselves against implacable forces. Apply a cold compress and set about getting a degree in life. Change the way you negotiate or take authority, cleaning out what has no use on the journey, as you set a course or rechart your direction. The shifts need to be inner and real, not cosmetic. You must be different and must participate in the reshaping of your status and sense of self. Attitudes to life and living will hit the radical shift button, changing many people's sense of their desires or needs as beings on a planet in transformation. The bluff honesty of Aries when couched with rebel Uranus may well wish to set aside the vacuous proliferation of social-networks and the neurotic angst over celebrity. A cleaner, hard-headed attitude will crash into the structures and take over the meeting places. In the sporting world, athletes will set superhuman records or give up their disciplines to take a new path in life. Musical, artistic and theatrical genius will dazzle with raw power or startle with technical achievement. In the wake of this, the elder gods will set to their business in earnest. From Jun 2012 to Mar 2015, there will be seven squares from revolutionary Uranus to Pluto, the Lord of the Underworld, ready to explode with a hiss and a roar... fiery blasts of altered understanding or changed conditions. Bright fire from the heavens will stir deep rumblings in the earth. Without a newly awakened awareness, we'll have to run the cosmic angle grinder until the excess is worn away. The value we put on life will alter until the fierce pressure subsides. There will be eruptions, fast burning fuses and weather set to tear the trees from the ground, sending the value of coastal property tumbling further into the wash of king tides, storms and rain. Whatever you think of global warming or climate change, Uranus will bring climatic instability and extremes with weather, testing us with erratic seasonal shifts, volcanoes, earthquakes, fire and scorching heat. We'll have to look to the safety and security of the communications grid and our power supplies. While much of this sounds like a furious life on the edge, what we will also have is, through this corridor of instability, a fiery new icon to lead us unselfishly into the unknown land of a dazzling and extraordinary future. Aries is the pioneer and the world he guides us to is the one that we can create in our imagination. Just embrace the vision, take the leap and open the unknown door. Return to the start of Uranus in Aries.